Knowing the bathroom, eating, and cleanliness habits of consumers can make or break a campaign. Question is: How far are you willing to go? How well would you say you know your consumer–not just the broad-stroke stuff, either, like their income or marital status. Stupid questions, silly insights, right? But they’re relevant questions and interesting answers if you’re in the business of selling toothpaste, dental floss, breakfast foods, or sanitizing liquids–all items which are part of the $100 billion personal care business. It’s a hugely competitive market sector, and products jostle to find the smallest feature that will give them a marginal edge over their competitors and ideally create a platform for another $1 billion product launch. Here’s the truth: I have come to spend a large part of my time living in consumers’ homes. It began a few years ago when I was asked to the Philippines to help an ailing coffee brand. For years the major coffee manufacturer in the region had attempted to run an advertising campaign during the rainy season. It’s traditionally a time of celebration, and if a coffee brand could “own” this, it would be a license to print money. The coffee company had run an expensive television campaign featuring smiling people drinking the brew in the shelter of their homes while rain pitter-pattered down on the roof. To everyone’s surprise, it seemed the association with the rainy season was a major turn-off. Sales decreased, and in turn left everyone baffled. Just before the annual rains were due, I headed off to Manila to work out why. To everyone’s surprise, the first thing I requested was to move in with a local family. Over the next 10 days I spent time in five different family homes, singing, talking, eating and, of course, drinking a lot of coffee. My agenda was to understand the psychology of the rainy season. One night, as the rain hammered against the tin roof, it occurred to me that the sound of the rain in the commercials had been misrepresented. In the ads that went to air, the rain was created from stock sounds, great in Hollywood movie, but far removed from the realities of the average Filipino family. The sound wasn’t right, and so the emotional stirrings the brand had hoped to evoke, simply did not occur. I immediately set out to record the very sound I was hearing beating against the tin roof. I emailed it to the production company and played the revised commercial for the next family. It brought them to tears. Sound was the missing piece in the emotional puzzle, and the following rainy season, coffee sales increased by 19%. I regularly ask CEOs when they’ve last spent a day in the homes of their core consumers. The best I can usually hope for is that they’ve intended to but have never found the time. In reality, most executives operate from large offices where they function with all the information that technology can provide. This was the experience of a CEO running one of the largest hi-fi manufacturers in the world. 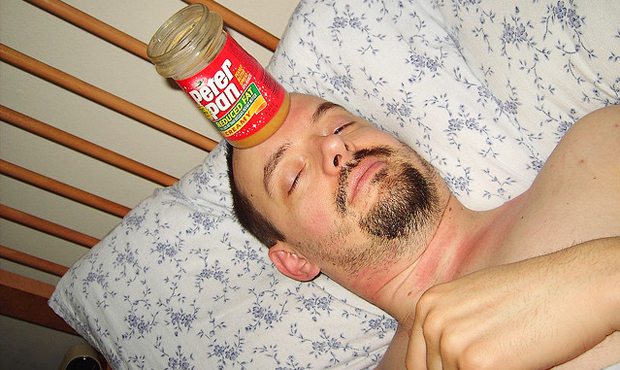 He was having doubts about a new product that had been in development for years. He showed me a prototype of this product–a stealth remote control he planned to unleash on the Chinese market. I was curious about the reasons for targeting China. He had done his research, and it showed that Chinese families embrace new technology, have the resources to purchase it, and generally like to impress friends and family. I inquired if he or any member of his team had spent any time in a Chinese home. As I predicted, not a single member of the development and marketing teams had even spent 10 minutes in the field. If they had, they would have learned that Chinese families tend to wrap their remote controls in transparent plastic to keep out dust. So, under layers of protective plastic, one remote looks just like another. The planned release of the product in China was cancelled. The money was moved to Northern Europe, where the new remote proved to be hugely successful. But success aside, the organization now demands that everyone involved in the development and marketing of a product must spend at least two days in a consumer’s home. This is a lesson that Procter & Gamble learned quite some time ago. Before they came up with one of the world’s most popular stain removers they spent months observing women tackling their laundry. They discovered that it wasn’t the big stains that disturbed, because they could be tackled head on. It was the tiny small obsequious stains that were most feared, the insignificant ones that can fly under the radar and then be noticed by the world at large. This became the foundation for Procter & Gamble’s next big stain-removal innovation: “Tide to Go” Instant Stain Remover. But hey, let’s stop here for a minute. What about you? When did you last spend a day with your consumers? At worst, you’d find out why those 4% brush their teeth in the shower. At best you might stumble across that tiny nugget of insight that could transform your product. Martin Lindstrom is a 2009 recipient of TIME Magazine’s “World’s 100 Most Influential People” and author of Buyology: Truth and Lies About Why We Buy (Doubleday, New York), a New York Times and Wall Street Journal best–seller. 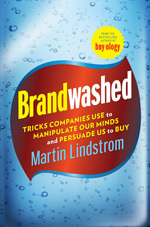 His latest book, Brandwashed: Tricks Companies Use to Manipulate Our Minds and Persuade Us to Buy, will be released in September. A frequent advisor to heads of numerous Fortune 100 companies, Lindstrom has also authored 5 best sellers translated into 30 languages. More at martinlindstrom.com.